Norman Mailer was honoured at the National Book Awards in New York last week, for his "distinguished contribution to American letters." The award was presented by Toni Morrison. Was Mailer pleased? Yes, and no. "In the literary world today, passion has withered," he said. The author of Armies of the Night, A Fire on the Moon, The Fight, The Executioner's Song and other works of fiction and journalism thinks literature is in danger of becoming "a footnote to our technological and commercial culture." Mailer is in his eighties, and Morrison in getting on. Just as we were wondering who would carry the flame, the Observer turned up with "New York's new literary lion." The Review section of last Sunday's paper promised the "first interview" with Benjamin Kunkel, author of Indecision, published in the UK this month. He is "the new sensation of literary New York." In another first interview with Kunkel (Salon, September 20), he was "the darling of the New York literary scene." Surely this is the man to roar that the novelist is still the king of the jungle, and prove Mailer wrong. "We're angrier than Dave Eggers and his crowd," he told the Observer. Well, that's promising, kind of. Angry about what? The war? Religious fundamentalism at home and abroad? Race and its discontents? - the big, Mailerite subejcts. No. Kunkel is angry about dating. "The idea is that dating should lead toward mating, and spread out before us is this array of choices that should lead toward a choice you can feel secure in. But I think the opposite happens. You become familiar with disposable relationships." No wonder the guy is furious. "To be constantly exposed to people whom you are unworthy of to begin with, yet who want you more than you want them, is confusing." Don't get him started. The Observer carried some quips from Indecision: "In my experience when a person doesn't know what to do with himself, he will check his emails." Could you keep the roaring down, please? Of course, when the angry n+1 boys wade into presumably weightier territory - like Marco Roth on Derrida - the results aren't any more encouraging. If we have to choose between trivial anger or soggy pretentiousness ... well ... it's best to just go somewhere else altogether. So we're going. See you after the 9th. It's one thing to learn that Kafka and Brod went to visit Goethe's house in Weimar, where Kafka developed a crush on Margarethe, the hopelessly ignorant daughter of the caretaker. These things could happen to anybody. But Stach never tells us that Margarethe - usually shortened to Grete of Gretchen - is also the name of the naive girl seduced by Faust after he makes his pact with Mephistopheles in Goethe's play. For Kafka, who once declared "my way of life is geared solely to writing" and dreamed of a fusion between literature and life, for whom all kinds of literary experience were matters of life and death, the coincidence might have been one reason for his crush. Successful seduction would have made him a Faust. Pursuing her in a way that was doomed to leave him alienated and humiliated would put him in the company of Goethe. All this is speculative interpretation, of course, but biographers have earned the right to play and to indulge in their readers' yearning to have other lives made sense of, as well as their own. Ed and Scott have weighed in on Kunkel and n+1 Agonistes, and it all begins to suggest that perhaps this flavor's month has passed. And now we're off to catch a flight. Happy new year, all! Like Whistler in Sneakers, our wish list is a short one - we're pretty easy to please. 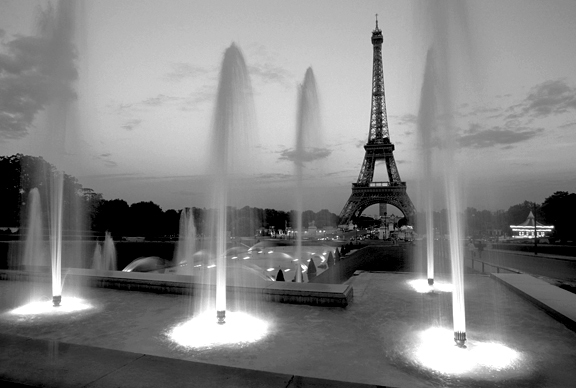 We're quitting these parts for holidays, off to spend New Year's Eve in Paris, returning to these shores January 9. Thus far we've been too disorganized to line up any guest bloggers, so the likelihood is TEV will be dark until then but if we miraculously get some caretakers lined up, we'll post prominently before skipping town. As always, thanks to all of you for making this another memorable year. Fondest wishes for a safe, happy and healthy new year to you and all your loved ones. Turkish prosecutors - who clearly have nothing better to do - are suing over an "insulting book" by Greek novelist Mara Meimaridi. Jack Kerouac's Cape Cod home can be yours for a mere $356,000 - (which doesn't even buy you a parking spot here in Santa Monica). In 1966, Kerouac, best known for his book On the Road, moved with his mother from Florida to Hyannis. The hard-drinking writer had just finished Sartori in Paris. After his mother suffered a stroke, Kerouac married his third wife, childhood acquaintance Stella Sampas, at the house on Nov. 18, 1966. His preference for going incognito extends to life at home. Fiennes, who turns 43 Thursday, attracts no second glances at a Manhattan restaurant. He quietly slides onto a couch and orders a glass of Pinot Noir to warm himself up for an interview, during which he'd rather discuss a favorite novel — John Banville's The Untouchable - than himself. Apparently, Harry Stephen Keeler is the worst writer in the world. Keeler is to good literature as rectal cancer is to good health. He makes the J.D. Robb novels seem as if they were written by Shakespeare. Given the choice of reading three Keeler novels back to back or being imprisoned in an Iranian jail,you'd need to think about it. Turkey is considering dropping the charges against Orhan Pamuk. Cemil Cicek, Turkey's justice minister, has hinted that the case against novelist Orhan Pamuk, charged with "insulting Turkish identity", may be dismissed. Pamuk is charged under the country's revised penal code for saying in a Swiss newspaper interview that no-one dared discuss the alleged massacre of one million Armenians 90 years ago and the deaths of 30,000 Kurds in the past two decades. Not enough, says we. What about all the other writers imprisoned in Turkey? What about striking from the books any law that makes it a crime to criticize the government. That's what's required to sit at the grown-ups table, folks. Speaking to a group of Australian graduates, J.M. Coetzee has made the strong case for the importance of the social sciences. "The world is not always ready to offer careers to graduates, particularly in the social sciences ... Whether the world stands waiting ready to offer you lucrative careers remains to be seen," Coetzee said. But "the claim that we ourselves are a worthy subject of thought and inquiry, and that we show ourselves off best in our intellectual creations, is a sign of faith, and an extraordinarily optimistic one". DO THEY STILL HAVE GULAGS OVER THERE? In a sign that Russia has entirely embraced market forces, a security guard has been arrested for stealing a copy of the new Harry Potter six weeks before release and threatening to blackmail Bloomsbury. Aaron Lambert, 20, stole two copies of "Harry Potter and the Half-Blood Prince," the sixth volume in the best-selling series by J.K. Rowling, from the distribution center where he worked on June 2. The following day he tried to sell the books to a British newspaper, brandished an imitation pistol at a reporter during negotiations and was arrested by armed police who raided his apartment.